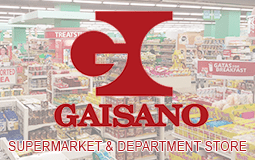 Redeemable at selected Gaisano Brothers branch. Please proceed to credit department counter prior to purchase of goods and for further instruction and assistance. Valid for 1 time use only.